(NaturalNews) Manuka honey is a unique and highly beneficial type of honey produced in Australia and New Zealand by bees that pollinate the Manuka bush, also known as tea tree. Recently touted as a superfood, Manuka honey has been used by indigenous cultures for thousands of years to treat wounds and fight infections. 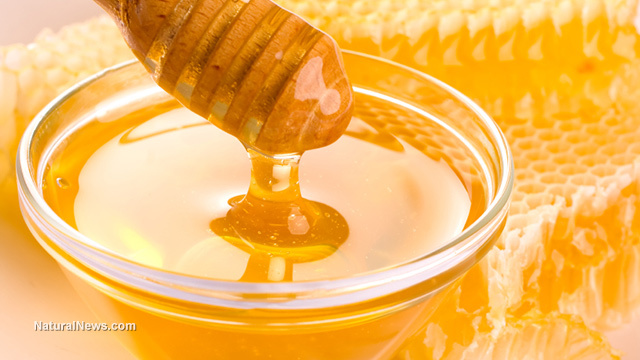 While the use of honey as a natural health remedy dates back centuries, science has recently taken an interest in the antibacterial and anti-inflammatory properties of honey, Manuka honey in particular. A new study, published in the Journal of Clinical Pathology, found that Manuka honey could hold the key to keeping medical devices in hospitals bug-free. Medical devices connected to patients, such as urinary catheters, carry a high risk of infection. Study co-author Bashir Lwaleed, of the Faculty of Health Sciences at the University of Southampton in the United Kingdom, and colleagues found that a dilution of Manuka honey could be used to halt the activity and growth of bacterial biofilms. These biofilms are groups of microorganisms that can adhere to surfaces and cause life-threatening infections. To put Manuka honey to the test, the scientists cultured two strains of common hospital bacteria on 96 plastic dishes. Both Escherichia coli and Proteus mirabilis are known to cause urinary tract infections (UTIs) that can arise in patients with long-term catheter use. After cultivation, the researchers applied different dilutions of Manuka honey and water to the bacterial cultures. After 48 hours of incubation, the team found that the lowest concentration of Manuka honey reduced the 'stickiness' – or the ability to stick to surfaces and develop a biofilm - of E. coli and P. mirabilis bacteria by 35 percent. After 72 hours all concentrations had reduced stickiness by at least 70 percent. Furthermore, Professor Bashir Lwaleed and his team found that all dilutions of Manuka honey had reduced biofilm growth after just 4 hours. As reported by the Daily Mail Online, up to one in four inpatients may have to use a catheter. According to Professor Bashir Lwaleed, catheter infections account for a large proportion of hospital-acquired infections. These infections can be deadly and could - possibly - be prevented by flushing catheters with a honey dilution before use. According to the Centers for Disease Control and Prevention (CDC), a whopping 75 percent of all hospital-acquired UTIs are caused by a urinary catheter. "We hope that these results may offer an alternative way of preventing such infections. We believe that patients might also benefit from honey's anti-inflammatory properties, which are generally stronger in dark honey, such as Manuka, and that antibacterial resistance is unlikely to be a factor when honey is used," Professor Bashir said. However, the authors of the study noted that their experiments only show how Manuka can reduce biofilm development or growth in laboratory conditions. Further studies in which clinical conditions more closely resemble the flow of liquid in the bladder are mandatory to prove honey's ability to fight hospital bacteria on medical tubes and devices.